Children of all ages are welcome at Royal Chundu and specifically catered for in our unique Children’s Club with an exciting daily programme. Both River Lodge and Island Lodge suites can sleep two adults sharing with two children. 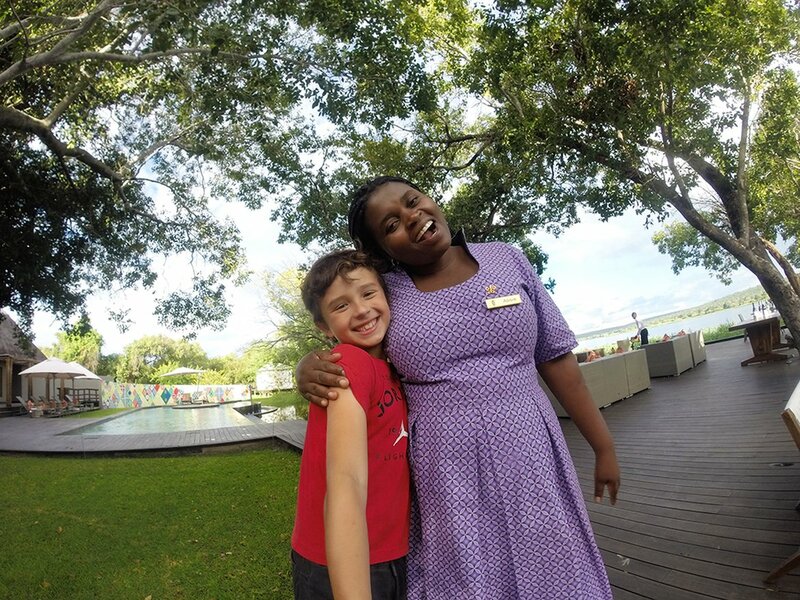 * Please note that at Island Lodge children are only allowed when the lodge is hired on an exclusive-use basis. Upon arrival, your guide will discuss activity options with you, considering family size, age and weather. Each of your young ones will receive a special River Safari Adventure Pack. A welcoming treasure hunt will help familiarise them with our staff and surroundings, allowing you peace of mind throughout your stay. Parents are welcome to join their children in the activities or to relax while our River Guides or Child Minders take over the supervising. All swimming activities must be supervised by parents at all times. Child minding is done by lodge staff and can be arranged with reservations prior to arrival at an additional cost. The Chundu Children’s Club activities and participation are subject to length of stay and River Guide availability. Please ensure that all children bring good walking shoes, a large hat, sunscreen and any medicine needed for allergies. All the above activities are free, subject to booking the fully inclusive package. Guests on the exclusive package will be charged an additional amount per child. Read more in our blogs, Tiger Fishing & The Art of Becoming a Man and Stay Wild River Child .